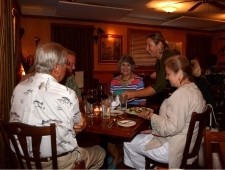 Our small barrier island town affectionately known as Port A is ripe with great eateries. The good news is more chefs seem to be heading into port. 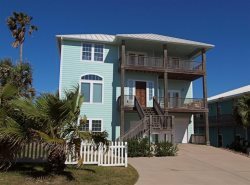 While Port Aransas was once a sleepy fishing village with oyster shells lining the streets, it’s coming into its' own with a colorful and delicious restaurant scene. Here are my current votes for best restaurants in Port A. What would a trip to the beach be without fresh seafood? One of the best casual seafood restaurants on this barrier island is Beach and Station Street Grill. Don’t judge a book by its cover; don’t judge a restaurant by the building. Yes, it looks kind of like a dive, most recognizable by the lighthouse on the sign, but don’t let this fool you. The food is fantastic. A menu favorite is the stuffed shrimp. Order your flounder fresh fried, or blackened and stuffed. The gumbo is a must eat. Don’t forget the Steak Au Povre. Sounds French does it not? One of the owners and chef is Cajun/French and enjoys visits to Paris. It is impossible to pick a favorite dessert at the Beach and Station Street Grill because all are homemade and delicious. For me, it was love at first bite with the Bourbon pecan pie, however, I also really enjoy the Belgian chocolate mousse pie, and Key lime pie. Yummy. If you come to Port Aransas take time to eat at the Venetian Hot Plate. This restaurant opened on the island in 1995 and serves authentic Italian cuisine from Venice region of Italy. Stop in and say hi to Linda the owner, she’s a beautiful woman with a wonderful accent. The passion she has for her place shines! An appetizer we love is Cozz e pancetta “Mussels”. These fresh blue lip mussels are served in a white wine sauce with grilled ciabatta bread. You will not leave a drop behind! The Venetian serves a Grilled Romaine Salad which has a balsamic reduction sauce and perfect, crispy baked prosciutto bits top it off. There are always Daily Seafood Specials and many delicious main dishes on the menu such as the Filetto al Gorgonzola, beef medallions smothered in a rich gorgonzola sauce. A great way to end a meal here is with the Tahitian Vanilla Crème Brulee. Iries Island Food is a favorite lunch spot on the island, always frequented by locals. 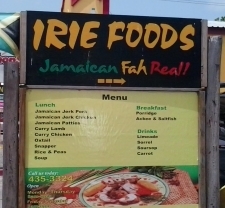 “Iries” in Jamaican means “a state of feeling great” and great you will feel after a visit to Iries! This is a family owned restaurant with the chef coming to the island from the Austin restaurant scene. Favorites on the menu are the Crazy Taco which has pork, shrimp, fresh avocado, pineapple jam and crispy tortilla strips with green dragon sauce. Delicious! There is an eclectic taco selection all with homemade tortillas. Another menu favorite is the Lobster & Black Bean Spring Rolls. 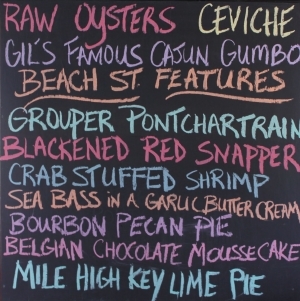 Other tasty menu items are Irie’s Curry crab dip, the Oyster Poor Boy, a Surfin’ Piggy and end your meal with Hot Beignets served with sliced strawberries and honey.